OK, I understand that not everyone has had specialized military training re: chemical weapons, specifically in self-protection/defense against same. And I expect there are many...too many...civilians who still beLIEve everything they hear on the radio, see on TV, or read in the newspapers. They are gullible, trusting, naive, and...well, perfect Democrat voters. - Not that politicians or the MSM would prevaricate [read: baldly lie] or anything like that. "So, then chemical weapons ONLY release their elements when they explode in the course of their intended use, but NOT when they explode from being attacked and blown up?" Most chemical weapons are binary. Not necessarily true of primitive stuff. The binary (two) components are kept in separate containers. Typically these are fairly harmless chemicals by themselves but not always. The design is that a small explosive in a strategic location relative to the two components will cause them to mix together creating the desired poison. An external force is likely to disperse these two components rather than mix them. Or worst case it disperses them and some of them do in fact mix together. 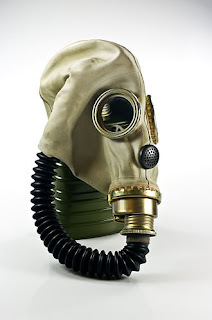 Most chemical weapons have a short life. Either they disperse in the atmosphere or they degrade as they give up the desired chemical that cause the harm. So in most cases if you blow up a chemical weapon in a way that does not initiate the fusing sequence you get fireworks and not chemical weapons.